I really like this image (can you say that about your own work?). I'd like to say that I had to get up really early to capture it, but truth be told I happened upon this beautiful scene when returning from an early morning foray into Snowdonia. 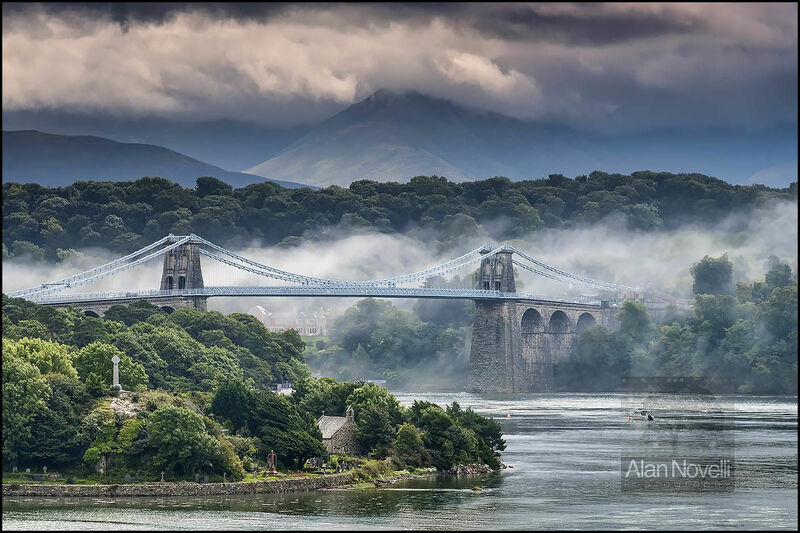 I love the way the mist and fog swirling around the Menai Bridge mirrors almost perfectly the cloud formations over the Snowdonia mountains.